Lillian Oberon feels trapped. Her marriage isn’t what she thought it would be, and she’s tired of playing a happy wife at her husband’s extravagant cocktail parties when things are so different behind closed doors. But with a small stepson and an ill sister to care for, Lillian can’t see an easy way out. Then one summer Lillian meets Jack, a charismatic young artist commissioned by Lillian’s husband to paint a room at Cloudesley, the stately family home, and Lillian’s whole world changes. Fast forward sixty years, and Maggie Oberon is hostel-hopping her way around Australia when she receives a phone call informing her that her grandmother Lillian is in hospital. Lillian is the best grandmother anyone could have asked for, lovingly raising Maggie at the Oberon family home, and Maggie jumps on the first plane back to England as soon as she hears the news. Maggie is shocked when she returns home. Her grandmother’s cheerful letters belied her fragility, as well as her precarious living situation. There are stacks of unpaid bills and the once-beautiful Cloudesley is in a state of disrepair. Maggie doesn’t think twice – she will stay and care for both her grandmother and the house. Maggie loves spending time with her grandmother, but being back in her hometown isn’t all smooth sailing. Seeing people from her past forces her to confront everything that made her escape to Australia in the first place and as Maggie works through the summer to restore Cloudesley to its former glory, she uncovers some long-hidden secrets that change everything she thought she knew about her grandmother and her family. Following two women as they navigate life-changing summers generations apart, The Peacock Summer is a beautifully written book. Lillian and Maggie are wonderfully compelling characters, and it’s a real delight to follow their stories. Maggie in particular grows so much over the course of the novel, and it’s a joy to watch her blossom into a young woman who no longer runs from her problems. Instead, Maggie embraces her grandmother’s advice to not just let life happen but to ‘go out there and make it wonderful’. Moving between time periods can sometimes make a book feel disjointed, but author Hannah Richell weaves Lillian and Maggie’s story-lines together flawlessly, and the two women’snarratives complement each other in a way that ultimately serves to reveal the Oberon family secrets that lie at the heart of the novel in an utterly captivating manner. Richell also has a gorgeously poetic way of describing the English countryside surrounding Cloudesley, and even makes the big old house seem like a character in its own right – fitting, really, as it plays such a significant part in the plot. This is a stunningly crafted tale of love, loss and the power of family. For those who love to wrap themselves around a compelling, superbly written story on cold nights – or for book clubs looking for a book you could talk about endlessly – we recommend The Peacock Summer wholeheartedly. 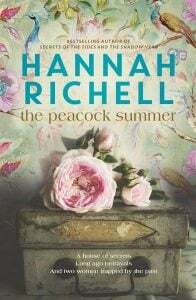 After the birth of her first child, Hannah Richell began writing as a guilty pleasure in stolen moments during her day. 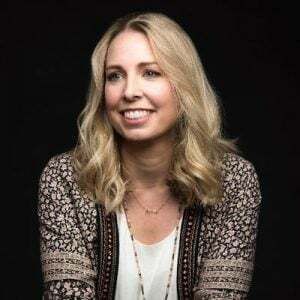 Her debut novel Secrets of the Tides was selected as a Richard & Judy Book Club pick and was shortlisted for the Debut Fiction Award at the 2013 Australian Indie Book Awards.